Elsa H. Jones, Administrative Law Judge, Office of Administrative Hearings (OAH), heard this matter on March 13, 2012, in Van Nuys, California, and on March 14-15, 2012, and on April 9-13, 2012, in Los Angeles, California. 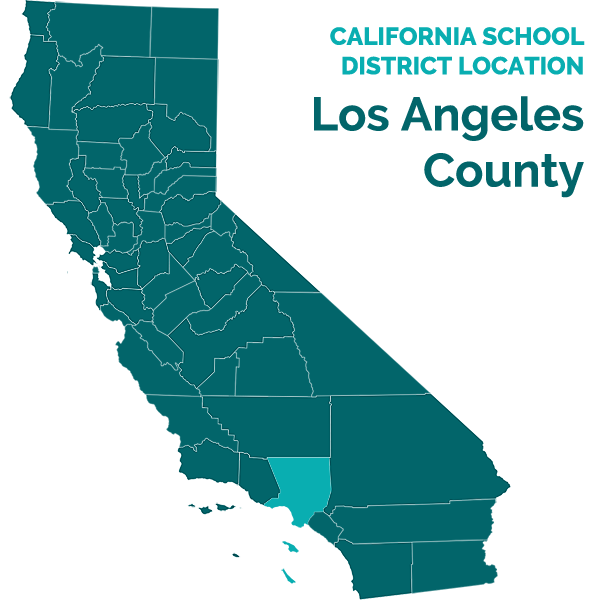 Los Angeles Unified School District (District) was represented by Mary L. Kellogg, Attorney at Law, and Benjamin D. Neiberg, Attorney at Law, of Lozano Smith. Joyce Kantor, Special Education Due Process Specialist for the District, was present on all hearing days. Student was represented by William P. Morrow, Attorney at Law, of the Morrow Law Firm, and by Stephen Fresch, Attorney at Law. Student’s mother (Mother) was present on all hearing days. Bernadette Buckley, a Spanish-language interpreter, was present on all hearing days to interpret the proceedings for Mother. District filed a request for due process hearing (Complaint) on October 21, 2011. On November 14, 2011, the matter was continued upon the District’s request. Sworn testimony and documentary evidence were received at the hearing. The parties were ordered to file written closing briefs by no later than 5:00 p.m. on April 27, 2012. District timely filed its written closing brief. Student did not file his written closing brief until 9:45 p.m. on April 27, 2012. Upon the filing of Student’s closing brief, the record was closed and the matter was submitted on April 27, 2012. Did the individualized education program (IEP) of May 3, 2011, offer Student a free appropriate public education (FAPE), in the least restrictive environment (LRE)? 1. Student is a seven-year-old boy who has resided in the District at all relevant times. Student was diagnosed with a bilateral severe-profound sensorineural hearing loss when he was approximately two years and three months old. He had surgery for placement of the Advanced Bionics Harmony Cochlear Implant in his left ear on December 19, 2007, when he was approximately three years and one month old, and for placement of the same device in his right ear on August 26, 2009, when he was approximately four years and nine months old. Each implant was activated approximately one month after the surgery to place the particular implant. 2. District found Student eligible for special education as a child with deafness in November 2007, when he was three years old. His cognitive ability was estimated to be in the average range. Student attended the John Tracy Clinic for pre-school, from approximately January 2006, when he was two years and two month old, to May 2010, when he was five years old. Student has never attended a District public school or a general education classroom. 3. Student began to attend Oralingua School for the Hearing Impaired (Oralingua) during the extended school year (ESY) in summer 2010, when he was five years old. Student has attended Oralingua continuously since ESY 2010. Oralingua is a nonpublic school (NPS), certified by the state of California. The student body consists almost entirely of deaf and hard of hearing children who have hearing aids or cochlear implants. Oralingua teaches its students to listen and speak by the use of listening and spoken language instruction, also known as auditory/oral/aural instruction.1 One of the foremost proponents of this methodology is the Alexander Graham Bell Association for the Deaf and Hard of Hearing. (A.G. Bell Association). The A.G. Bell Association is a private, non-profit agency. The A.G. Bell Academy for Listening and Spoken Language (A.G. Bell Academy), which is part of the A.G. Bell Association, has established principles for auditory/oral instruction, and a program for certifying Listening and Spoken Language Educators (LSLS). The LSLS certification has two subcategories: Certified Auditory-Verbal Educators, who work primarily in the classroom, and Certified Auditory-Verbal Therapists, who work primarily one-to-one with the child and the parents in clinical settings. According to the A.G. Bell Academy, a LSLS “teaches children with hearing loss to listen and talk exclusively through listening and spoken language instruction.” Auditory/oral instruction does not include sign language systems, such as American Sign Language (ASL), or lip reading. Certain gestures are acceptable in an auditory/oral program, however, and the evidence demonstrated that the types of gestures which are acceptable are open to interpretation. For example, “natural gestures,” for which no witness provided a clear, precise, consistent definition, are acceptable. The gestures which typically accompany the lyrics of children’s songs are also permitted. “Hand cues,” may also be used, in which the teacher or therapist covers her mouth with her hand or with a device called a “hoop” to cue the pupil to listen carefully to the sound or the word. “Hand cues” are used to highlight a sound or a word, often when the sound or word is first being introduced to the child. Covering the mouth is also used to prevent the child from lip reading. Pointing to the mouth to emphasize a sound or word is also acceptable, particularly as part of an “auditory sandwich,” in which the sound or word is first stated orally, and then, if the student does not understand, one points to the mouth, or covers the mouth, to prompt the child to listen, and then one states the sound or word again. The teacher can also place her hand to the child’s mouth to indicate “my turn.” Physical prompts and visual presentations are also permitted, and they are specifically referenced, but not defined, in the list of Strategies for Listening and Spoken Language Development which the A.G. Bell Academy requires professionals to learn to earn the LSLS certification. 4. When Student first enrolled at Oralingua in summer of 2010, his teacher was Krista Santanna. At the time of the hearing, Ms. Santanna had been a teacher at Oralingua for 15 years. During that time she has taught approximately 80 children with cochlear implants. She received a B.S. in education of the deaf and hearing impaired from the University of Southern Mississippi in 1997. She holds a clear education specialist credential for the hearing impaired, and a regular education multi-subject credential. In July 2011 she received an M.Ed. in Curriculum and Instruction from Concordia University. She has taken some classes at the John Tracy Clinic, where she was also a master teacher for approximately six student teachers. A master teacher is, essentially a teacher of student teachers, whom the master teacher oversees in the classroom. 5. In summer of 2010, Ms. Santanna’s class, in which Student was enrolled, consisted of seven children, all of whom were five-to-six years old, and at the prekindergarten or kindergarten level. Four of the children had cochlear implants. Academically, Student was near the bottom of the class, at the beginning-kindergarten level. In September 2010, Student attended Ms. Santanna’s kindergarten-first grade class. There were six children in the class, including Student. Most of the class had done some kindergarten-level work previously. At times, schoolwork was too difficult for Student, and he fell behind. At some point during fall 2010, Student began to receive language arts instruction in a less advanced kindergarten-first grade class, taught by Erin Slaney, with the assistance of Sarah Hogan, a teacher’s aide. The children in that class worked at a beginning-kindergarten level, and their language level was also lower than those of the children in Ms. Santanna’s class. By approximately January 2011, Student was also receiving math instruction in Ms. Slaney’s and Ms. Hogan’s class. In March 2011, Ms. Slaney was transferred to a different classroom, and Ms. Hogan replaced Ms. Slaney as the classroom teacher in this less advanced kindergarten-first grade class. Commencing in spring 2011, Student spent at least 80 percent of his time in Ms. Hogan’s class. Ms. Hogan is an intern teacher at Oralingua, who has been there since approximately July 2010. She received her B.A. at Biola University in 2008 in liberal studies, specializing in elementary education. She received her Elementary Education Multiple Subject Teaching Credential from Biola University in January 2009. She is in a master’s degree program at California Lutheran University (Cal. Lutheran), and will receive her M.Ed. in deaf and hard of hearing studies in May 2013. She will receive her Level 1 credential to teach deaf and hard of hearing students in May 2012 from Cal. Lutheran. 6. On April 12, 2011, Bridget Scott-Weich, a District LSLS, served on Mother, by mail, a notice in Spanish that Student’s annual IEP meeting would be held on May 3, 2011, at Melrose Math/Science and Technology Magnet School (Melrose). Dr. Scott-Weich received a B.A. in geography from the University of the West Indies, an M.Ed. in special education from the University of Southern California (USC) in 1995, and an Ed.D. from USC in 2006. She holds a Clear Multiple Subject Credential, a Clear Language Development Specialist Certificate, and a Clear Specialist Instruction Certificate, and a Preliminary Administrative Services Credential. From 1980 to1994 she was a general education classroom teacher in bilingual classrooms in grades K-2. From 1995 to 2003 she taught deaf and hard of hearing students in grades K-6 in special day classes (SDC’s), and from 2003-2005 she worked teaching very young special needs children and their families. She has been an LSLS since 2008. From 1998-2001 she was a Master Teacher for student teachers pursuing a master’s degree in deaf education. She has taught in the Master’s in Deaf Education programs at the University of San Diego from 2005-2010, and at Cal. Lutheran from 2008-2009. She has been a National Board Certified teacher since 2000. She has taught a variety of workshops and in-service presentations to teachers of the deaf and hard of hearing since 2000, including teaching two series of eight professional development programs in auditory-verbal strategies. From 2005 to the present she has worked on a collaborative project between District and the Oberkotter Foundation to improve the delivery of education to students with hearing loss who are learning to listen and speak. She was a general education teacher in California from 1980-1994, a teacher in a Special Day Class (SDC) for deaf and hard-of-hearing students from 1995-2003, a Parent/Infant Teacher of special needs children, which involved working with very young special needs children and their families, and from 2005-2010, she has been an itinerant teacher on special assignment in the District. From 2011 to the present she has been a lead LSLS in the District. Dr. Scott-Weich was primarily responsible for drafting the District’s Standards for Teaching Students who are Deaf or Hard of Hearing who Utilize Audition and Oral Communication (Reference Guide), effective July 26, 2010. The Reference Guide was based on California Standards for the Teaching Profession, and provided information to District administrators and teachers regarding best practices for implementing an instructional program for students in an auditory/oral program. It included six major categories in which teachers of deaf and hard of hearing students in auditory/oral programs could be evaluated. Dr. Scott-Weich had received training in the California Treasures reading program that was part of the District’s curriculum. 7. Mother signed the IEP meeting notice and returned it to the District. In preparation for the meeting, Dr. Scott-Weich spoke to Oralingua personnel regarding Student, and observed Student in his classroom at Oralingua for 20 to 30 minutes. During this visit, Dr. Scott-Weich also spoke to Student to evaluate his communication abilities. 8. Also in preparation for the IEP, Oralingua provided District with a detailed progress report of Student, including a description of Student’s abilities and his progress on his goals, and a recent speech and language (LAS) assessment report of Student. 10. The progress report described Student as spending his school day in two selfcontained classrooms, as was described above, in which he had instruction in Kindergarten academics in one classroom of six students, and spent calendar, recess, and some social time in a kindergarten/first grade classroom with seven other students. The report described Student’s cochlear implants, and listed his related services: LAS for one thirty-minute session a week and aural habilitation for one thirty-minute session a week. The report included language samples, described Student’s progress in a variety of areas, and included present levels of performance for each area. 2A sound field system involves wiring a classroom with a sound field that has its own frequency. When turned on to its specific channel, it amplifies the teacher’s voice through various speakers in the classroom, including a main central speaker in front of the students’ desks. The teacher would use a headset with a microphone and speaker. 11. The progress report summarized Student’s progress in mathematics. He sequenced and identified numbers at least up to 30, matched objects with numbers, and recognized the concept of one-to-one correspondence. He counted and wrote numbers up to 100 by ones, fives, and tens. He labeled shapes, and was emerging in his ability to label geometric solids such as cubes, spheres, and cones. He copied and extended patterns including AB and ABB patterns, and identified quantities of groups as having the most, fewest, or equal numbers of items. He could recognize the ordinal position of objects, identify the days of the week, and compare the lengths of objects. He was emerging in his ability to identify concepts of time, such as yesterday, today, tomorrow, before, after, morning, afternoon, and evening. The report suggested a mathematics goal, and corresponding short-term objectives, to demonstrate an understanding of concepts of time. 12. The progress report summarized Student’s progress in language arts. At the beginning of the school year in September, Student could only name 50 percent of the uppercase letters of the alphabet, and 46 percent of the lowercase letters, and he did not provide sound correspondence for any letters. As of the time of the report, he named 100 percent of upper and lowercase letters, and provided sounds for 50 percent of the letters. He was learning letter patterns and has practiced identifying rhymes. He was emerging in his ability to blend consonant-vowel-consonant words containing the vowel sound “short a.” He could read approximately 22 sight words from the school curriculum, and he was beginning to recognize rhyming pairs but did not produce rhyming words. He enjoyed listening to stories read to him and engaged with the material, but could not retell stories. The report suggested three goals with corresponding short-term objectives, involving Student’s phonemic awareness of all consonant and short vowel sounds, identification and production of rhyming words, and retelling of grade level texts. 13. The progress report summarized Student’s progress in writing. When he began school in the summer, he wrote using mostly capital letters. At the time of the report he formed many lowercase letters correctly, but he would have benefitted from continued practice in correct letter formation, with correct spacing. His ability to write independently using letters and phonetically spelled words was emerging. He wrote very basic sentences using sight words, but his sentences were often prompted. The report suggested a goal, with corresponding short-term objectives, by which Student would write simple sentences using known sight words in a journal entry. 14. The report summarized Student’s progress in the area of language. Student could label animals, toys, school, food and outside. He would benefit by broadening his labeling abilities. He generally used two to five word phrases or groups of phrases in spontaneous speech. Student’s use of the present progressive tense was emerging. The report suggested two goals, with accompanying short-term objectives, by which Student would name the category for three related areas, and would use the present progressive verb form. 15. The report commented on Student’s progress in audition. Student was a careful listener who was beginning to use his listening skills to pick up incidental information when he overheard others speaking. Student answered “who” questions by naming familiar names or familiar nouns. He became confused when answering “who” questions related to occupations. He could answer “what” questions in a structured setting 60 percent of the time; “who” questions correctly reading occupations less than 30 percent of the time, and “where” questions approximately 40 percent of the time. The report suggested two goals, with accompanying benchmarks, to increase Student’s ability to answer “who,” “what,” and “where” questions, and to follow simple two-and three-step directions containing actions. 16. The report summarized Student’s progress in social interaction skills. When he began at Oralingua in July, Student would use a confused facial expression to indicate when he did not understand. He quickly began asking clarifying questions. He would also use incidental listening to pick up social phrases, such as “Bless you,” when someone sneezed, and “Are you o.k. ?” if someone tripped. He was considerate and played well with others. His use of language during play activities was emerging. He did not use vocabulary appropriate to play situations to describe actions or to initiate play with peers. The report suggested a goal, with corresponding short-term objectives, to address Student’s use of vocabulary during play. The report concluded with a language sample of 73 items, which consisted largely of two-to-five word utterances, with a few utterances of up to eight words or more. The longer utterances, however, were not complete sentences and were not grammatically correct or wholly intelligible. 17. Leslie Guzman, Student’s speech and language pathologist (SLP) at Oralingua, performed an LAS assessment of Student in March and April 2011, and wrote a report of the results in April 2011. Ms. Guzman has been employed as an SLP at Oralingua since 2009. Before then, she was employed as an SLP assistant at Oralingua for three years. Ms. Guzman received her B.A. in communicative disorders form California State University, Fullerton (Cal. State Fullerton) in 2005, and her M.A. in communicative disorders from the same institution in 2008. She is licensed as an SLP in California, and in approximately 2009 she received a Certificate in Clinical Competence from the American Speech-Language and Hearing Association (ASHA). The report noted that Student was five years and five months old, and that his hearing age with his cochlear implants was three years, three months with his left implant, and one year, six months, with his right implant.3 The report stated that Student received LAS therapy with emphasis on audition two times per week for 30 minute sessions. Student would follow familiar multiple-step directions with minimal repetition. LAS therapy was working on developing better clarification skills for misunderstood or misheard information. 18. Ms. Guzman used the following instruments: Clinical Evaluation of Language Fundamentals Preschool-Second Edition (CELF Preschool-2); Ling’s Phonetic Level Speech Evaluation (PLE); Receptive One-Word Picture Vocabulary Test (ROWPVT); and Expressive One-Word Picture Vocabulary Test (EOWPVT). 3Student’s chronological age was not correctly stated in the LAS report. In April, 2011, Student’s chronological age was six years, five months old. The protocols attached to the assessment report list Student’s correct chronological age as of the time of the assessment. 19. The report listed Student’s scores on the CELF Preschool-2, which was designed to assess language comprehension and production skills, and was normed on children with normal hearing ranging in ages from three years, zero months, to six years, 11 months. Due to Student’s chronological age, and his anticipated levels of functioning, he was eligible to take the preschool version of the CELF test. The report commented that the test was administered in accordance with the test protocol, but the results should be interpreted with caution, since the test was normed on individuals with normal hearing. Prior to administering this instrument, Student’s listening skills were checked and his implants were determined to be functioning properly. 20. The report described the CELF Preschool-2 scores as having a mean of 100, with scores between 85 and 115 considered to be in the average range. Student obtained a Core Language score of 55, which the report noted was the “most representative measure” of a child’s overall language skills. This measure encompassed both receptive and expressive language. Student obtain a score of 79 on the Receptive Language index; a score of 45 on the Expressive Language index; a score of 65 on the Language Content index (a measure of semantic knowledge both receptively and expressively); and a score of 55 on the Language Structure index (a measure of the Student’s understanding and production of syntactical structures and morphology). The report stated these scores demonstrated that Student’s overall language skills fell below the average range when compared with his typically developing peers with normal hearing matched by chronological age. 21. The report also listed Student’s subtest scores on the CELF Preschool-2. The report explained that the mean scaled score for the individual subtests was 10, and scores that fell within the range of 7-13 were considered to be within the average range. Student obtained a scaled score of 5 (age-equivalent 3.11) on the Sentence Structure subtest, which measured the ability to interpret spoken sentences of increasing length and complexity. Student’s scaled score fell below the average range when compared with his age-matched peers with normal hearing. Student demonstrated comprehension of various sentence structures. He had difficulty with compound sentences and subordinate clauses. He received credit for a preposition item, as well as all copulas (e.g., “is ready”), negation, and infinitives. 22. Student obtained a scaled scored of 1 (age-equivalent <3.0) on the Word Structure subtest, which evaluated Student’s knowledge of grammatical rules. His scaled score fell below the average range. Student received credit for one test verb using the progressive tense “-ing”. He had difficulty completing sentences that required the use of prepositions, pronouns, plurals, possessive nouns, third person singular, copula, future tense, regular and irregular past tense, and noun derivation. 23. Student obtained a scaled score of 1 (age-equivalent <3.0) on the Expressive Vocabulary subtest. This subtest evaluated Student’s ability to label pictures of people, objects, and actions. Student’s scores fell below the average range compared with his typically developing peers with normal hearing. He was able to identify one verb and two nouns. 24. Student obtained a scaled score of 3 (age-equivalent 3.2) on the Concepts and Following Directions subtest. This subtest measured Student’s ability to interpret, recall, and execute oral commands of increasing length and complexity. Student’s scaled score fell below the average range when compared with the normative data for his chronological age. Student demonstrated comprehension of some dimension/size concepts, and he received credit for some of the test items that involved temporal concepts and an equality concept. He had difficulty comprehending sequencing and conditions. 25. The report noted that the Word Classes subtests evaluated the ability to understand and express relationships between words that were related by semantic class relationships. Student obtained a scaled score of 12 (age-equivalent >7.0) on the Word Class-Receptive subtest, which fell in the average range when compared with his typically developing peers with normal hearing who matched Student’s chronological age. This was an area of strength for Student. He was able to look at three of four pictures and determine by pointing which two went together the best. The report commented that his score suggested that Student could perceive relationship between depicted objects and form associations. 26. Student obtained a scaled score of 6 (age-equivalent 4.8) on the Word Class Expressive subtest. This score fell just below the average range. He was able to respond to some of the items with the critical element needed to explain the relationship between the words. However, on some items he included gestures for the action, such as gesturing digging for the words “bucket and shovel” rather than explaining the relationship between the words. 27. The report stated Student’s score on the ROWPVT, which was designed to assess the receptive vocabulary of children who had normal hearing and were from two years through 18 years, 11months old. Standard scores of 85-115 are in the average range. He obtained a standard score of 65 (age equivalent 3.1). His score was in the below average range, when compared to his age peers who have normal hearing. 28. Similarly, the report stated Student’s score on the EOWPVT, which was designed to assess the expressive vocabulary of children who had normal hearing and were from two years through 18 years, 11 months old. Standard scores of 85-115 are in the average range. Student obtained a standard score of 61 (age equivalent of 2.1). His score was in the below-average range, when compared to his age peers who have normal hearing. 29. The report noted that Student had difficulty with intelligibility during spontaneous utterances. He omitted and substituted phonemes within his speech which contributed to his reduced intelligibility. During structured tasks, he could produce the targeted sound; however, he was not able to do so outside of the therapy room. The report concluded that Student had partially met his annual goal, which targeted Student’s overall speech indelibility by improving his production of specified sounds and improving phonological processes. Based on Student’s results on the PLE, as well as Ms. Guzman’s observation of Student during therapy sessions, the report noted that Student could not accurately produce “th,” distorted the production of the vowels “oy,” “ae,” and “au”, and struggled with appropriate lingual placement to produce the consonant /s/. The report proposed three annual goals, with short-term objectives, to address these deficiencies for the IEP team to consider. 30. Dr. Scott-Weich, Maral Joanyan (a District SLP), and Maria Pezullo, a District audiologist for the District’s deaf and hard of hearing (DHH) program at Melrose, relied upon these reports to draft present levels of performance and goals for the IEP team to consider. 31. On May 3, 2011, the District convened Student’s annual IEP at Melrose. The IEP team included Mother, Sylvia Turner (the assistant principal at Melrose), Dr. Scott-Weich, Maral Joanyan (a District SLP), Maria Marrone (the District’s case manager), Dr. Rosalie Saxman (the District’s senior educational audiologist), Harmoni Adkins (a special education teacher in the District’s DHH program at Melrose), Krista Santanna (Student’s teacher at Oralingua), Elisa Roche (the Executive Director of Oralingua), and Gloria Miguel, the interpreter. Ms. Miguel interpreted the first part of the IEP meeting into Spanish for Mother, but Ms. Miguel was unable to attend the entire meeting. With Mother’s permission, Ms. Turner interpreted for Mother after Ms. Miguel left the meeting. Ms. Turner had received training in interpreting from the District. 32. The attendance sheet for the IEP did not reflect that a general education teacher was present, and Ms. Turner, who was one of the leaders of the meeting, failed to sign the attendance sheet herself. Ms. Turner is a credentialed general education teacher, and she attended the meeting in that capacity as well as an administrator. She has served as the assistant principal educational instructional specialist at both Melrose and at Magnolia Elementary School for three years. As part of her duties, she supports the special education functions at Melrose. She has a B.A. in English literature with a minor in literature of the Spanish-speaking world, and a master’s degree in educational administration. She holds a Bilingual-Cross-Cultural Elementary teaching credential for kindergarten through12th grade, and an Administrative Services Credential. Before she became an administrator she was a general education elementary school classroom teacher for 10 years. She never taught first grade, but she was familiar with the first grade curriculum, and with elementary programs at Melrose, including first grade. 33. Dr. Roche, the Executive Director of Oralingua who attended the meeting, received a B.S in nursing from Mount St. Mary’s College in 1985. She received an M.S. in nursing administration in 1987. She received her Ph.D. in microbiology in 1991. She became involved in the auditory/oral education community in approximately 1999, as a parent of a child who is DHH and who attended Oralingua. Dr. Roche was an active parent at Oralingua. She served on the Oralingua Board of Trustees from 2000 to 2006, and became Interim Executive Director of Oralingua in 2006. She assumed the permanent role of Executive Director in 2008. Her duties include overseeing licensing, accreditation, curriculum, credentialing, interfacing with public school districts and special education local plan areas (SELPA’s), and generally administering the school and supporting its families and staff. She attends approximately 50 IEP meetings per year, and has observed many classes to evaluate their auditory/oral programs. Dr. Roche has participated in numerous organizations which serve the DHH population, including serving on the board of Options Schools International. She has served on the council of the National Center for Hearing Assessment Management. She is on a committee with a group of physicians at the University of California, Irvine, which studies brain functioning and the functioning of cochlear implants. She has served on the Board of Communication Disorders at Chapman University. She has also served on the state board and national council of the A.G. Bell Association, and was part of the discussion of formulating and promoting the A.G. Bell Association’s LSLS certification program and its curriculum. She has presented to a variety of organizations regarding DHH issues. 34. At the May 3, 2011, IEP meeting, the text of a draft IEP, including proposed present levels of performance, and goals and objectives, were projected on the wall as the team members went through each portion of the IEP. The attendees also had a printed version of the draft IEP to use during the meeting. 35. The team noted that Student was six years old, and that he was an English speaker. The IEP form also reflected that Student both was, and was not, Limited English Proficient. The team noted that Student was not at the first grade level. The team noted that Student was eligible for special education with the disability of deafness. Evidence at hearing demonstrated that the team discussed Student’s status as an auditory/oral communicator who required an auditory/oral program to advance his speaking, hearing, and language skills. 37. The team reviewed Student’s present levels of performance, as described in the Oralingua progress report and Ms. Guzman’s LAS assessment report. In the area of receptive and expressive language, the team noted Student’s strengths as having a hearing age of 3.2 years old. His language levels were at the three-year-old level, close to his hearing level. In receptive language, Student could independently follow two-step directions. He was below the average range of his typically developing peers, and he could not follow threestep directions. Since Student’s receptive language skills were at about the same level as his hearing age, he understood very basic nouns and a few verbs. He could point to pictures that were related to each other, indicating comprehension of form/function associations. In expressive language, Student’s spontaneous utterances consisted of up to eight words. Most of his utterances were two to five words. He was very eager to speak and he engaged in conversations and answered questions. He labeled animals, toys, school, food, and outside objects. He identified objects by size descriptors, and he used some pronouns, some contractions, and the simple possessive. Student asked questions using “what,” “where,” and “may I.” His use of the present progressive tense was emerging. There were many linguistic components absent in his expressive language, and he was not yet using the past tense. He also had difficulty giving multiple reasons for his actions. 38. In the area of language arts/reading, the team noted that Dr. Scott-Weich had observed Student at Oralingua listening attentively to a story being read. Student knew the names of all letters of the alphabet and could identify and produce the sounds of 50 percent of the letters. He read approximately 22 sight words. He enjoyed listening to stories and actively participated in discussions. His spontaneous utterances were not syntactically correct. He could repeat a syntactically correct sentence using only audition with adult assistance. Student could sequence three events in stories read to him and he had begun to recognize rhyming pairs. He could answer some who and what questions. Dr. Scott-Weich had observed that Student continued to need assistance when producing two to three word sentences using grade-level appropriate language. He could not produce rhyming words in response to an oral prompt, and he continued to need assistance with “where” questions. 39. In math, the team recorded that Student was able to count and write numbers up to 100 by ones, fives, and tens. He could label the square, triangle, and circle. He copied and extended AB and ABB patterns, he could identify groups of more, less, and equal amounts, and he compared shorter with longer. He had emerging skills in concepts of time, such as yesterday, today, and tomorrow. He had difficulty with morning and afternoon. The team noted that Student’s mathematical skills were at the kindergarten level. 40. In the area of auditory learning, the team noted that Student demonstrated spontaneous awareness to sound. Student responded to his name and to information provided to him through audition alone. He had commenced using his listening skills to pick up incidental information. He could answer “who” questions by naming familiar names or by using nouns such as boy, girl, mom, and dad. He required vocabulary development, particularly verbs, to comprehend questions asked and directions. He needed improvement in following two-to-three-step directions. 41. In the area of communication/social interaction skills, the team determined that Student had oral communicative intent, as demonstrated in his willingness to listen and speak to Dr. Scott-Weich, a stranger, during her observation at Oralingua. Student demonstrated spontaneous awareness to sound, and responded to his name as well as to information provided to him using audition alone. He made very good progress in his social interaction skills. Oralingua reported that at the beginning of the school year, Student often had a confused facial expression, indicating that he did not comprehend something. He learned to ask clarifying questions, such as “What did you say?” Through incidental listening he picked up social conventions, such as saying, “Bless you,” when someone sneezed, or asking “Are you o.k. ?” when someone fell. He was considerate and played well with peers. However, he could not describe or verbally initiate play with peers due to his limited expressive vocabulary. 42. The team reviewed Student’s results on his recent LAS assessment by Ms. Guzman, the SLP at Oralingua. Student could follow familiar multiple-step directions with minimal repetitions. He inconsistently used progressive endings, and inconsistently comprehended various sentence structures. He used negation and the infinitive. He could look at three or four pictures and determine by pointing which two had a relationship. 43. The team reviewed Student’s present level of performance in the area of articulation. During structured tasks consisting of familiar words, Student reduced the amount of phonological processes. During structured tasks he produced the target sound, however, he did not produce the sound accurately outside of therapy. In spontaneous production, Student had difficulty with intelligibility. He omitted and substituted phonemes during spontaneous speech. He had difficulty producing specified consonants and vowels. His three-to-four word utterances were intelligible, but longer utterances were less intelligible. 44. The team reviewed Student’s audiologic status, based on an audiologic evaluation completed on November 30, 2010 at House Ear CARE Center. The team noted his implants and when he obtained them. When using the implants, Student was able to access speech and environmental sounds within a normal range of hearing. He could report whether his implants were on or off. He could independently change the batteries to his implants as needed. He needed to continue to maintain his implants independently and to alert the audiologist/teacher when he was having difficulty hearing or understanding. 45. In the area of vocational education/independence, the team noted that Student communicated with adults using oral language. He had difficulty understanding what was said to him. 46. With respect to each of the present levels of performance, the team noted that Student’s hearing loss impeded one or more of the following: his language development, his ability to communicate, and/or his ability to access and make progress in grade-level instruction, in the core curriculum, or in a general education classroom. The present levels of performance also included a variety of accommodations, including small class size, FM technology, small group instruction, preferential seating placement in the mainstream, and the use of realia, visual, and manipulative instructional tools, instruction using all sensory modalities, repetition of all instructional material and directions, adult language modeling, prompting, cueing, frequent checks for understanding, extended time for tasks, and a reduction in background noise when possible. 47 The team set 12 goals, with accompanying objectives, in the areas of articulation, receptive language, expressive language, language arts/reading, math, auditory learning, communication/social, hearing, and vocational education. The articulation goals were the same goals as Ms. Guzman had recommended in her LAS assessment report of April 2011. All of the goals were measureable, and stated how Student’s progress on the goals would be evaluated and reported. 48. Each present level of performance and each goal were reviewed by the team.4 The Oralingua members of the team, and Mother, were asked for their input on each of the present levels of performance and goals. Mother did not make suggestions. Ms. Santanna, Student’s teacher at Oralingua, made some suggestions to the present levels of performance in math and hearing, and these items were altered to conform to her suggestions. Members of the team from Oralingua also suggested changes in the math and hearing goals, and those suggestions were incorporated into the IEP. By the end of the discussion, no member of the IEP team disagreed with the present levels of performance and the goals, and Mother agreed that the goals were appropriate and the present levels of performance contained everything in the Oralingua report. No member of the team had any goals or other information to add to these sections of the IEP. 49. The team noted that Mother received a Spanish version of A Parent’s Guide to Special Education Services, including Parent’s Rights and Safeguards. The team also noted that Mother was informed of her right to a written translation of the IEP, and that she requested a written translation of the IEP in Spanish. Mother also received a Spanish version of the District’s Parent Input Survey form, which advised Mother how to complain to the District if she were dissatisfied with the interpretation at the IEP, or if she did not receive a copy of the translated IEP. 4At hearing, Ms. Santanna, Student’s teacher at Oralingua, stated that the present level of performance in the area of vocational education/independence was not discussed at the meeting, and was not written during the meeting. She did not know who drafted it, and she asserted it was not drafted by anyone from Oralingua. At hearing, Ms. Santanna questioned the types of prompting and cueing listed as accommodations included in this present level of performance. Ms. Santanna’s testimony regarding whether this present level of performance was discussed at the IEP meeting was contradicted by all other team members who testified at hearing regarding the IEP meeting, including Dr. Roche, the Executive Director of Oralingua. Therefore, the weight of the evidence does not support Ms. Santanna’s testimony on this point. Additionally, the IEP contains a corresponding vocational education/independence goal, which no witness disputed was discussed. Furthermore, as is mentioned below, the same accommodations listed in this present level of performance were listed in the instructional accommodations section of the placement and supports pages of the IEP, which no witness disputed were considered at the IEP meeting. Under these circumstances, Ms. Santanna’s testimony on this point is not sufficiently persuasive to establish any procedural defect in the IEP. 50. The IEP stated the placement and services decided by the team. The IEP team offered placement in the DHH program at Melrose, with a general education curriculum, in an SDC for 1275 minutes per week. The IEP did not designate the classroom, but the team discussed that the classroom would be Ms. Adkins’s auditory/oral SDC, and discussed the supports available in the classroom, such as a paraeducator and the FM system. The IEP team also offered extended school year (ESY), and transportation between home and school for both the regular school year and for ESY. The team listed instructional accommodations to include instruction using all sensory modalities; repetition; use of realia, manipulatives, and visual aids; adult language modeling; classroom amplification; prompting; cueing; small group instruction; preferential seating; frequent checks for understanding, extended time for tasks, and a reduction in background noise when possible. The team also noted that Student would have the opportunity to participate as much as possible in activities with typically developing peers as arranged by teachers and site administrator. The team added as “Other Supports,” that Student required flexible preferential seating in the (mainstream) classroom and at assemblies, and reduction of background noise when possible. The team also noted that the District educational audiologist had determined classroom amplification to be beneficial. On another page of the IEP, under the heading “Participation in General Education,” the team reiterated that Student would participate in developmentally appropriate activities with typical peers throughout the school day. 51. The IEP specified that during the regular school year Student would receive direct/collaborative school-based LAS services one to five times per week, for 60 minutes per week; direct audiology services one time per week for 10 minutes per week; and direct/collaborative services from a deaf/hard of hearing itinerant provider one time per week for 60 minutes. The IEP also listed the related services that Student would receive during ESY. These services were direct/collaborative auditory/verbal therapy from a deaf/hard of hearing itinerant teacher one time per week for 40 minutes, direct/collaborative school-based LAS services one-to five times per week for 40 minutes per week; and direct audiology services one time per week for 10 minutes. 52. The team noted that Student would spend 80 percent of his time outside of general education. At hearing, the evidence conflicted as to the breadth of the general education discussion at the IEP. Ms. Adkins and Dr. Scott-Weich specifically recalled that the team discussed the general education classes in which Student would participate, and other District witnesses asserted that Student’s participation in general education was discussed. Mother stated that the discussion about general education was minimal, and that there was no discussion as to the general education classes in which Student would participate. Mother, Ms. Santanna, and Dr. Roche stated that there was no discussion as to why Student’s previous IEP of April 14, 2010, provided that Student would spend 76 percent of his time outside of general education, but this IEP provided that Student would spend 80 percent of his time outside of general education. Dr. Roche stated that she did not recall that any mainstreaming opportunities were mentioned at the meeting. 53. The personnel from Oralingua did not criticize the offered placement and services at Melrose. Mother did not sign her consent to the IEP. The IEP notes stated that Mother felt that Oralingua would be a better placement for Student, and Mother said, “The person who had my son’s case was not honest with me.”5 Mother was concerned that, when she visited Melrose, the speech therapist did not cover her mouth, pointed to the mouth, and that three in a group was too big for a 30-minute LAS session. The IEP notes stated that Mother was informed that the classroom teacher also provided speech therapy, and the speech therapist was in the classroom for collaboration. Maria Marrone, the case manager, stated that children sometimes have to see tongue placement, but Mother was informed that Ms. Marrone was not a teacher at the school and was not an expert in the teaching methodology at Melrose. Mother expressed her concern that she saw signs being used. Mother was advised that District could not prohibit children using signs among themselves. Ms. Marrone advised that this observation occurred in an upper-grade class, and Dr. Scott-Weich stated that some of the upper-grade children were struggling and therefore used gestures. She also stated that the District did not encourage signing in the Melrose program, and that the program focused on listening and spoken language. Mother was advised that Student’s teachers would be trained in oral and auditory strategies. Mother stated she had not seen the class Student would be in. Ms. Adkins invited Mother to return to Melrose and observe the classroom in which Student would be placed. 54. Melrose was a general education campus. The District’s DHH program at Melrose was based upon auditory/oral education principles and used auditory/oral techniques. The program was designed for children, such as Student, who have cochlear implants or hearing aides and are learning to listen and speak. Dr. Scott-Weich helped develop the program and participated in supervising it. Her primary consideration in developing the program was to have credentialed classroom teachers educated in auditory/oral techniques, who were able to use technology, who could work with mainstream teachers, and who were committed to working with children who were learning to listen and speak. In her opinion, the Melrose program implemented current peer-reviewed research on the best practices for educating children who have cochlear implants or hearing aids and are learning to listen and speak. She met monthly with the teachers and the school administrator to discuss students and their progress, how to successfully implement the curriculum, and teaching strategies. Dr. Scott-Weich observed the teachers and provided feedback and guidance to them. The IEP team contemplated that Student would be placed in a first grade class during the 2011-2012 school year, taught by Harmoni Adkins. Dr. Scott-Weich had been involved in training Ms. Adkins, and has observed her in the classroom an average of two times per month during the 2011-2012 school year. 5 At hearing, there was no evidence as to what Mother meant by this statement. 55. Ms. Adkins received her B.A. in elementary education from Arizona State University in May 2008. She received her M.Ed. in special education: deaf and hard of hearing from the University of San Diego/John Tracy Clinic in June 2009. At the time of the hearing, she anticipated receiving her M.Ed. in learning technologies from Pepperdine University in July 2012. She received her Preliminary Multiple Subject Teaching Credential, grades K-8, in September 2008, and her Level I Education Specialist Instruction Credential for Deaf and Hard of Hearing from birth-age 22 with an English Language Learner (ELL) Authorization in August 2009. She is in the process of obtaining a Level II Clear Education Specialist Instruction Credential. Ms Adkins had attended Dr. Weich’s professional development course in auditory/verbal strategies, and she had training in the California Treasures reading curriculum used by the District. She attended LSLS workshops in 20092010. She has been a teacher in her auditory/oral SDC in the DHH program at Melrose since 2009. 56. Ms. Adkins’s first grade class during the 2011-2012 school year was housed in a permanent, two story building. It included nine children and a paraprofessional aide, Ms. Balthazar. The children ranged in age from six to eight years old. The single eight-year old child was a second grader. Five of the children had cochlear implants; two of them had bone conductor hearing aides in both ears. One child had a cochlear implant and a hearing aid. All of the children’s preferred communication mode was auditory/oral, but their abilities varied. The majority of the children were of lower than grade-level ability in English language arts, but at grade level for math. Those who were delayed in math were about one year behind. The children were independently reading some stories. Two of the children had one-to-three word utterances; one or two children had about 10 word utterances, and the remaining children were in between those two extremes. The students were one-to three years delayed, compare to typical hearing peers. One of the children, who had a hearing aid for only about a year, was just beginning to speak. One or two of the students were possible candidates for mainstreaming with full-time aide support. Both Dr. Scott-Weich and Ms. Adkins believed that the students in the classroom were appropriate peers for Student. Student was of a similar age as Ms. Adkins’s students, and Student and Ms. Adkins’s students had similar cognitive abilities and language abilities. Dr. Scott-Weich based her opinion on her knowledge of the children in the classroom, on her observation of and conversation with Student, and on the information provided about Student from Oralingua. Ms. Adkins’s opinion was based upon her day-to-day, first-hand knowledge of all of the students in her classroom, and on her knowledge of Student that she learned at the IEP meeting, including the information in the reports from Oralingua. 57. Ms. Adkins’s classroom was designed with attention to acoustics. The classroom had carpets to minimize scraping of chairs and desks. The classroom ceiling was acoustically treated to dampen sound and reduce sound reverberations in the classroom. Other physical aspects of the school were also designed with attention to the needs of children with cochlear implants. For example, the District decided to install a metal slide on the school yard instead of a plastic slide, as plastic could interfere with the operation of cochlear implants. 58. Ms. Adkins’s classroom was equipped with FM technology for amplification, which involved attaching a receiver to the child’s cochlear implant or hearing aid which would pick up the signals from the teacher’s and paraeducator’s microphones. The effect was that of the teacher or paraeducator speaking directly into the child’s ears, resulting in the teacher’s voice sounding louder than the ambient sounds in the classroom. Every morning, Ms. Adkins checked the children’s implants and hearing aids to make sure they were working. If there was a problem with the equipment and Ms. Adkins could not troubleshoot it, she would call the educational audiologist assigned to Melrose, Maria Pezzulo. Ms. Pezzulo served another school in addition to Melrose, but she would be physically present on campus when she was needed. Ms. Adkins only had to call the audiologist one or two times during the current school year. Ms. Pezzulo was also in Ms. Adkins’s classroom one time per week to provide audiological services to students pursuant to their IEP’s. Ms. Pezzulo was trained in the type of cochlear implants used by Student. She has successfully served other DHH children at Melrose, and the evidence demonstrated that she was qualified to provided audiological services to Student pursuant to this IEP had he attended Melrose. 59. Ms. Adkins and Ms. Balthazar, the paraeducator, used auditory/oral teaching techniques. Ms. Adkins spoke slowly, paused, pointed to her ear, used the hand cue, rephrased, moved closer to the child’s receiver, repeated, and whispered to augment hearing. She included visuals such as pictures and objects. She used natural gestures, and incorporated kinesthetic modes of learning with visual and verbal modes of learning. Ms. Adkins had used sign language when assessing one of her students, because the student had arrived at Melrose knowing sign language and was a new auditory/oral communicator. This student soon stopped using sign language, because the other children in class did not understand it. Neither Ms. Adkins nor her paraeducator taught sign language or lip reading in class. The children talked to each other all day, every day. 60. All of the children were mainstreamed to some degree. They were mainstreamed for recess, lunch, assemblies, and field trips. They were mainstreamd for science for one hour per week, during which they were with approximately 20 general education children. They were also mainstreamed for project-based learning in social studies, for engineering, which was part of the science curriculum, and for computers. The general education teachers wore microphones and used the FM system when Ms. Adkins’s students were mainstreamed in their classes. 61. The school day started at approximately 8:00 a.m. and concluded at 2:30 p.m. The children started their day with all the other students in the “morning meeting.” After hooking up their FM systems and settling into the classroom, the children worked on their journals, which included a short academic task, and Ms. Adkins checked that their hearing equipment was working. Ms. Adkins then reviewed the journal assignment, and completed it on the board. She then taught the class reading, teaching sounds, words, and blending, reading stories from the curriculum. At about 9:15 a.m., the class broke into groups, which Ms. Atkins referred to as “stations.” The stations would vary, but they were based on what the children were working on during group instruction. She was in charge of a station, where she worked with children one or two at a time, and her paraeducator also had a similar station. The remainder of the class would be at another station, working independently on their iPads, or reading, doing sequencing activities, or writing activities. After approximately 10 minutes, the children would rotate stations. This activity would last for about 30 minutes, at which time the children would go to recess for 20 minutes. After recess, Ms. Adkins would teach language to the entire class. For example, this might include instruction on verbs, activities using verbs, writing activities, and language games. This occurred for 30 to 45 minutes. Then, Ms. Adkins would teach math to the entire class, until noon, when the children would leave for lunch. Lunch lasted 45 minutes. After lunch, all of the children would go to a mainstreaming class until approximately 1:30, unless the mainstreaming class was science, in which case only some of the children would go to the science class. The rest remained in Ms. Adkins’s classroom, where she worked with them in small groups on writing, math, or other core curriculum. The mainstreaming schedule was complicated, and the classes depended on the day of the week. There was no mainstreaming on Friday, and the class was in Ms. Adkins’s classroom after lunch, when she again provided whole group instruction. On other days, the children returned to her classroom after mainstreaming. She might do whole group instruction, or have another session of “stations,” or do small group instruction, focusing on pre-teaching or post-teaching the material from the mainstream classes. At approximately 2:20 p.m., the children prepared to go home. At 2:30 p.m., school let out, and Ms. Adkins accompanied her class to the bus, talking to them as she went. 62. The evidence demonstrated that, had Student attended Melrose, Heidi Fields, a certified LSLS auditory-verbal educator, would have provided Student’s auditory-verbal therapy. Ms. Fields received a B.A. in English literature from the University of California, Los Angeles, in 1985, and she received her Professional Clear Teaching Credential from the same institution in 1988. In 1989, Ms. Fields received her M.Ed. at the University of Southern California in a joint program with the John Tracy Clinic, and a Communication/ Handicapped Teaching Credential focusing on DHH children. She taught at the John Tracy Clinic early in her career. She started teaching children with cochlear implants in 2006 in a District school which had a DHH program that was similar to that of Melrose. She is a member of the A.G. Bell Association, from which she received her LSLS certification. As an LSLS she used an auditory-verbal approach to teach children oral language skills. The evidence was uncontradicted that the level of services she would have provided to Student would address Student’s needs and allow Student to make progress on his goals. 63. The evidence also reflected that Maral Joanyan, the SLP for the Melrose DHH program, would have provided LAS services to Student had he attended Melrose. Ms. Joanyan received a B.A. and M.A. from California State University, Northridge in Communications Disorders. She is licensed as an SLP in California, and holds a Certificate of Clinical Competence from ASHA. She has received 32 hours of training from the District in auditory-verbal therapy and how to provide therapy to students in auditory/oral programs, and she was knowledgeable in auditory/oral teaching techniques. The evidence was uncontradicted that the level of LAS services she would have provided to Student pursuant to Student’s IEP would have addressed Student’s needs and allowed him to make progress on his goals. The evidence was also uncontradicted that Ms. Fields and Ms. Joanyan were qualified and capable of providing the services and implementing the goals in Student’s IEP. Indeed, they were successfully implementing similar goals and providing similar services to other children in the Melrose DHH program. 64. Mother was familiar with the Melrose DHH program, as she had visited classes in the program six or seven times, including Ms. Adkins’s class, prior to the May 3, 2011, annual IEP meeting. Her visits to Melrose had occurred from the time Student started pre-school. Mother feared Student would regress at Melrose, because she felt the classes were noisy, and she had observed the staff had used sign language, gestures, and lip-reading. She believed that he would not be able to concentrate in a noisy class. She was concerned that the staff did not cover their mouths when communicating with the students. Mother did not want Student exposed to any gestures whatsoever, including if he were mainstreamed in a general education class. Therefore, even prior to the May 3, 2011, IEP meeting, Mother had determined that Melrose was not an appropriate placement for Student, and she did not want to enroll Student there. Further, except for the placement, Mother was not concerned with the other portions of the IEP. Mother preferred that Student remain at Oralingua. 65. The Oralingua personnel at the IEP meeting did not express any disagreement with the IEP or with the proposed placement. However, at hearing, Ms. Guzman, the SLP at Oralingua, and Traci Nolin, an audiologist at Oralingua, expressed their opinions that an auditory/oral program required a full-time, on campus audiologist, because problems could arise throughout the school day that a special education teacher could not resolve. Ms. Nolin has been audiologist for 25 years, and she has been employed as an audiologist at Oralingua for 15 years. She is a full-time, on-site audiologist there. She received her B.A. in communicative disorders from the University of California at Santa Barbara in 1982, and her master’s degree in audiology from San Diego State University. She holds a dispensing audiology license, and has a Certificate of Clinical Competence from ASHA. She was trained and certified as a diagnostic audiologist, which permits her to perform a variety of diagnostic tests, including otoscopic examination and tympanograms. She is a member of ASHA and of the American Academy of Audiology. She has provided audiological services for hundreds of DHH children with cochlear implants. 66. Ms. Guzman and Ms. Nolin reported a few problems that had occurred with Student’s equipment at Oralingua. On one occasion, his battery warning light was flashing even though the battery was charged. On another occasion, the audiologist assisted Ms. Guzman, because Student was not hearing the “s” sound consistently, and the audiologist helped to determine that his implant needed to be re-mapped. On a third occasion, Student was changing the volume on his implants. Ms. Nolin referred Student to a clinical audiologist who fixed the volume control so that Student couldn’t change it, but Ms. Nolin was concerned that Student would tamper with the FM system used in Melrose’s DHH program. Ms. Nolin also believed there were a few occasions when moisture from sweat affected Student’s implant, but admitted that it was not a common problem for Student, and that there are very low-tech solutions for such problems. 67. Ms. Nolin also believed that her presence on campus at Oralingua was essential because Oralingua had much equipment on hand that she would use to replace or repair the students’ implants and hearing aides. She was also specially certified to perform otoscopic and tympanogram examinations, which could reveal medical conditions that affect a student’s hearing. 68. In rebuttal, the District presented the credible testimony of Dr. Rosalie Saxman that Student’s implants had waterproofing to avoid problems with sweat and moisture, and the first grade pupils at Melrose could not adjust any aspect of the FM system. Dr. Saxman has been employed as a senior educational audiologist with the District since December 1996. She received her B.S. in education of the acoustically handicapped from Eastern Michigan University in 1969; her M.A. in audiology from California State University, Los Angeles, in 1980; and her doctorate in audiology from A.T. Still University, Arizona School of Health Sciences, in 2008. She holds a Tier 1 Administrative Credential, and a life California Standard Teaching Credential specializing in deaf and hard of hearing. She is a Fellow of the American Academy of Audiology, a Board-Certified Audiologist, and holds a Certificate of Clinical Competence in Audiology from ASHA. She is a member of the A.G. Bell Association. 69. District never provided Mother with a copy of the May 3, 2011, IEP, translated into Spanish. Mother never complained to the District or to any other authority about not receiving a Spanish copy of the IEP. She never renewed her request for one. By letter dated June 9, 2011, Mother wrote to Ms. Kantor, the District’s due process specialist, to advise that the District did not have an appropriate program to meet Student’s needs as a student with a cochlear implant. The letter stated Mother’s belief that Oralingua was the appropriate placement for Student, and that Mother would enroll Student at Oralingua, and seek reimbursement from the District for the tuition costs and other expenses associated with Student’s attendance at Oralingua. 70. Student attended Ms. Hogan’s class at Oralingua for first grade during the 2011-2012 school year. There were no typical hearing children in his class. During the school year, the class, including Student went on a field trip to the California Science Center. The class had no amplification system there, and, since there were typical children and other members of the public also visiting the California Science Center, it was noisy. At one point, the museum was so noisy that Ms. Hogan moved her students to a less noisy area so they could better hear her. Nevertheless, Ms. Hogan did not restrict her students to the less noisy area, but permitted them to experience various parts of the museum. Ms. Hogan was able to communicate with her class during the field trip, and the children were able to talk among themselves. In Ms. Hogan’s opinion, the class benefitted from the field trip. 71. In November 2011, after District filed its Complaint, Mother requested, for the first time, to visit Ms. Adkins’s classroom at Melrose. Dr. Scott-Weich attempted to arrange the visit in November and December 2011, but Mother did not respond to her efforts. Subsequently, visits were scheduled but District had to cancel one visit because Ms. Adkins was attending a conference, and Mother cancelled two visits. Mother finally visited on February 28, 2012. Dr. Roche, Ms. Turner, and Dr. Scott-Weich were also present at the observation. The observation had been scheduled at 9:00 a.m., but Mother and Ms. Roche did not arrive until 9:15 a.m. Mother and Ms. Roche were on campus for approximately 45 minutes. They spent approximately 30 minutes observing Ms. Adkins’s classroom. 72. There were between seven and nine children there during the observation. At the time of the observation, the class was in “stations” mode. Several children were excited to see Dr. Scott-Weich and Mother, and ran to greet them. Ms. Adkins and her paraeducator, Ms. Balthazar, were each at a station, working with children on a one-to-one basis. They were both using the California Treasures curriculum cards, using gestures to remind the children of the sounds of the letters. Ms. Adkins was working on letter sounds and blending with the child at her station, and then, after approximately 10 minutes, Ms. Adkins began working with two children at one time, practicing their reading. Two children were at another station independently making stick puppets for their project-based learning. Two students were assigned to work independently with California Treasures sequencing cards and to place the cards in the correct order for a story. They were directly behind Ms. Adkins. Ms. Scott-Weich recalled that she helped them lay out the cards, and the children were talking to each other regarding how the cards should be sequenced. Dr. Roche recalled that Dr. Scott-Weich assisted the children making stick puppets, and not the children with the sequencing cards, who she recalled were noisily playing with the cards, flipping them on the floor and playing hopscotch with them. Dr. Roche perceived that the class was so noisy that Dr. Scott-Weich could not hear Dr. Roche when Dr. Roche called to her. 73. As the observation ended, the children were sent to recess. Ms. Turner stated that she would supervise them during recess, but Mother, Dr. Roche, and Dr. Scott-Weich also stayed to observe the children during recess. The evidence was conflicting as to whether Ms. Adkins had released the class early for recess. Mother and Dr. Roche testified that the children were sent out to recess before the bell rang, and that if Ms. Turner had not volunteered to watch them, the children would have had an unsupervised, lengthy recess. Dr. Scott-Weich, Ms. Turner, and Ms. Adkins, all of whom testified as part of District’s case before Student called Mother and Dr. Roche to testify, did not testify regarding recess that day. These were each extensively cross-examined by Student, but Student did not ask them about the early recess which Student contended occurred. Ms. Adkins was only asked whether she had ever let the class out early for recess, and she said she had not. The timeline of the observation would indicate that the children were dismissed for recess at approximately 9:45 a.m., which, the evidence showed, was the routine recess time. In any case, for the reasons set forth below, this discrepancy in the evidence does not require resolution. 74. At hearing, Mother testified that she did not believe Melrose was an appropriate placement because the teacher and paraprofessional used signs and gestures, and the classroom was too noisy for Student. Mother believed that the children who were working with the sequencing cards were playing, or even fighting, and she did not believe they were communicating appropriately. She stated that she noticed a slide on the playground was plastic, which was an inappropriate material as it would de-program cochlear implants. 75. Dr. Roche stated at hearing that she was surprised and horrified by what she observed in Ms. Adkins’s class, which she stated was in a “portable” unit and not a permanent building. In her opinion, Ms. Adkins and the paraeducator were doing nothing more than remedial, timed, reading interventions, while the other children were left to play on their own. She expressed her opinion that the class was not following a standard California curriculum. Dr. Roche had expected, at that hour of the morning, to see direct instruction. Dr. Roche believed that the children who were working independently were noisy and unruly, especially the children using the sequencing cards, as they were tossing them and playing hopscotch with them. During the observation, she testified that she wrote approximately 17 to 18 notes to herself on her Blackberry, by touch, without taking her eyes away from the classroom events. She saw Ms. Adkins and the paraprofessional using numerous gestures and sign language, which, in Dr. Roche’s opinion, automatically disqualified the program as an auditory/oral program. She observed that “it was clear” the first student Ms. Adkins was working with had a problem with reading, and was very, very delayed. She also stated that Ms. Adkins unsuccessfully tried to teach the second child blending, and, since he could not learn that, Ms. Adkins returned to teaching single word sounds. Dr. Roche’s opinions regarding these children’s performance was not shared by Ms. Adkins. Ms. Adkins believed she had worked on sounds and blending with the first child, and the child had done well. Ms. Adkins stated the child was saying the sounds and blending them together to say simple three-letter words. Towards the end of the session, the student was nearly saying four-letter words. Ms. Adkins asserted that she was not timing the child; she was only timing the length of the station. Then, Ms. Adkins helped two students at the same time practice their reading. These students were also doing well, as they were reading and helping each other. 76. Dr. Roche was also critical of what she perceived as Ms. Adkins’s lack of control of the classroom and failure to use auditory/oral teaching techniques, such as a hand cue. In her opinion, based on her observation, Ms. Adkins was not meeting many of the standards for teaching DHH children in an auditory/oral class, as set forth in the District’s Reference Guide. In particular, she felt Ms. Adkins did not met any of the criteria in the District’s Reference Guide under the rubric of Engaging and Supporting all Students in Learning, and four of the six criteria under the rubric of Planning Instruction and Designing Experiences for All Students. She did not believe that the classroom met the definition of acoustic hygiene set forth in the Reference Guide, and that Ms. Adkins did not use acoustic highlighting and language modeling as defined in the Reference Guide. 77. Dr. Roche stated that she was familiar with the California Treasures program, and she had specifically called representatives of its publisher, McGraw-Hill, to verify that it did not require the use of gestures and signs, as Ms. Adkins and her paraeducator were using. She reported that two representatives had told her that the gestures and signs were not part of the curriculum in which teachers were trained, and, if the teacher was using them, she was including them on her own initiative. Dr. Roche did not clearly identify the names and titles of both of the McGraw-Hill representatives to whom she spoke, or provide any details or documentation of these conversations. On cross-examination, Dr. Roche was shown documents pertaining to “Sound-Spelling Cards” from the McGraw-Hill website, containing information about the California Treasures program. These documents contained “action scripts” describing gestures children were to make to help them remember the sound of the letters. Dr. Roche stated that the gestures were to be used only with English Language Learners, not in auditory/oral programs. The documents from the McGraw-Hill website did not state that the gestures were to be used only with English Language Learners, and Dr. Roche did not clearly state the basis for her opinion that they did. 78. Dr. Roche also expressed her opinion that Student’s abilities were far more advanced than those of most of the other children in the class, and that there was only child in the class who was at a similar language level to Student. She estimated that some of the children in the class were at the one-to-two year old level in expressive and receptive language. This opinion was based on her observation of the children in the class, on one-onone conversations she had with two children in the class that lasted more than five minutes, on psychoeducational assessment reports she had seen on two of the students in the class, on formal language samples of students in the class that Ms. Adkins had posted on-line in conjunction with her master’s program, on four LAS assessments she had seen regarding students in the class, and on her knowledge of Student. Dr. Roche had never had seen the other children’s report cards, and she did not know any student’s listening comprehension level, or their standardized scores in receptive and expressive language. 1. The petitioner in a special education due process hearing has the burden of proving his or her contentions at the hearing. (Schaffer v. Weast (2005) 546 U.S. 49, 56-57 [126 S. Ct. 528].) As the petitioning party, District has the burden of proof in this case. 2. District contends that it complied with all applicable procedural requirements in developing the May 3, 2011, IEP, and that it offered Student a FAPE in the LRE. Student contends that the District did not develop the May 3, 2011, IEP in compliance with the Individuals with Disabilities in Education Act (IDEA), and Education Code procedures because no general education teacher was present at the IEP meeting, the IEP team did not discuss Student’s participation in general education classes, and Mother did not receive a Spanish translation of the IEP document. Student also contends that the May 3, 2011, IEP deprived Student of a FAPE on substantive grounds, in that the District’s proposed placement was not a true auditory/oral program, the classroom was inappropriate, and there was no full-time audiologist on campus. 6 All subsequent references to the Code of Federal Regulations are to the 2006 version, unless otherwise indicated. Arguably, this provision on its face only applies to Student-filed cases, because only in those cases are there formal allegations of procedural violations. Rather, in a District-filed case such as this, one might contend that a proper analysis of a procedural violation only involves the issue of whether the procedural violation was substantial as opposed to harmless. In this matter, as is further described below, the analysis under either formulation produces the same result. 16. The school district shall ensure that external components of surgically implanted medical devices, such as cochlear implants, are functioning properly. (34 C.F.R. § 300.113 (b)(1); Ed. Code § 56345, subd. (8)(d) (6).) However, the school district is not responsible for the postsurgical maintenance, programming, or replacement of the surgically implanted medical device, or of an external component of the surgically implanted medical device. (34 C.F.R. § 300.113 (b)(2); Ed. Code § 56345, subd. (8)(d)(7). 20. The evidence reflected that the District properly convened and conducted the May 3, 2011, IEP meeting, and properly developed the IEP. The team discussed and drafted appropriate present levels of performance and measurable annual goals, all of which were agreed to by Mother and the Oralingua members of the IEP team, all of which were based upon information obtained from assessments, observations, and Student’s school performance. The IEP document contained the necessary content, including the Student’s present levels of performance, areas of Student’s unique needs, and measurable annual goals that were based upon Student’s present levels of performance, to address Student’s areas of need. The IEP also contained required information regarding reporting of progress on goals, classroom accommodations, and the frequency, location, and starting and ending dates of the proposed placement and services. The team considered the Student’s strengths and Mother’s concerns, and Student’s academic, developmental, and functional needs, as well as the full range of his communication needs and his language and communication mode. All aspects of the May 3, 2011, IEP, were offered for discussion, such discussion occurred, and substantial portions of the IEP were based upon information provided by Oralingua. The evidence was undisputed that Mother attended the meeting, was advised of the Student’s problems, expressed her disagreement with the IEP team’s recommendations, and had the opportunity to ask questions and request revisions in the IEP. In this regard, the Oralingua representatives also had the opportunity to, and did, ask questions, suggest changes, and express disagreement. Accordingly, Mother meaningfully participated in the meeting. 21. Student contends that District did not meet its burden of compliance with the IEP procedures for three reasons. First, Student contends there was no general education teacher present at the May 3, 2011, IEP meeting, and no person signed the attendance sheet as the general education teacher. This contention is unmeritorious. As was stated in Legal Conclusion 11, the requirement that a general education teacher be a member of the IEP team can be met if a school administrator is present who holds a general education teaching credential, and who is involved in educating children at the school. Ms. Turner, the assistant principal at Melrose who holds a general education teaching credential and has had 10 years of elementary school teaching experience, was present at the meeting. She had not signed the attendance sheet, but the fact that she was present at the meeting was undisputed. As the assistant principal at Melrose, she was responsible for supporting special education functions at Melrose, and she was therefore involved in educating children at Melrose. She was familiar with the first grade curriculum and state standards. She was capable of answering questions that may have arisen regarding Student’s participation in the general education curriculum. Therefore, Ms. Turner’s presence at the IEP meeting fulfilled the requirement that a general education teacher attend the IEP meeting. 22. Next, Student contends that the IEP team deprived Student of a FAPE because the team did not adequately discuss Student’s participation in general education classes, and the IEP did not contain sufficient information about Student’s participation in general education classes. In particular, Student contends that there was no explanation at the IEP meeting as to why the percentage of Student’s time outside of the general education environment increased from 76 percent in his previous annual IEP of April 14, 2010, to 80 percent in the May 3, 2011, IEP. Further, Student contends that there was no discussion at the IEP meeting, and the IEP does not state, the general education classes in which Student would participate, as a Student transitioning from an NPS into a partially mainstreamed environment, pursuant to Education Code section 56345, subd. (b)(4).) These contentions are not meritorious. 23. First, as was stated in Legal Conclusion 9, the IEP is required to state the percentage of time Student will spend outside of the general education environment, and describe the special education placement and services in which the student would participate. The May 3, 2011, IEP did so. There is no requirement that the IEP explain any changes in the percentage that was stated in a previous IEP, absent any question from other members of the team. There was no dispute that no member of the team asked about the change in percentage, even though all of the team members had access to the previous IEP, either as a parent, as an employee of Oralingua, or as a District employee. 24. Second, the weight of the evidence demonstrated that Ms. Adkins and Dr. Weich discussed the types of classes to which Student would be mainstreamed, and that general education was discussed at the IEP meeting. This finding is supported by the several references to mainstreaming in the IEP document. The IEP stated that Student would participate with typical peers in developmentally appropriate activities throughout the school day, as much as possible, as arranged by the teacher and site administrator. Further, the IEP described the supports that Student would receive while in mainstream classes, including flexible preferential seating, reduction of background noise, and classroom amplification, as well as qualified staff trained in auditory/oral instruction techniques and audiological services. If any member of the IEP team had any questions about Student’s participation in the general education environment, there were qualified personnel present at the meeting who could have answered the questions. The percentage of time that Student would participate outside of general education, and the accommodations, modifications, services, personnel, and equipment provided to integrate and support Student’s transition into the general education program were developed in compliance with all applicable procedures. Therefore, even if the IEP did not contain all of the information prescribed by Education Code section 56345, subdivision (b)(4), the lapse was not substantial, and was harmless. District did not impede Student’s right to a FAPE, or significantly impede Mother’s opportunity to participate in the decision-making process, or cause a deprivation of educational benefits with respect to the general education component of the IEP. 25. Finally, Student contends that District did not meet its burden of showing procedural compliance with the IDEA because Mother did not receive a Spanish translation of the IEP document, as she had requested. As was stated in Legal Conclusion 9, upon request, District must provide a parent a copy of the IEP in the parent’s primary language. In this case, the May 3, 2011, IEP documented Mother’s request for a copy of the IEP translated into Spanish. The District conceded that it never fulfilled this request. However, the facts demonstrate that the District did not deprive Student of a FAPE in this regard. 26. The entire IEP meeting was interpreted for Mother, and Mother never expressed any disagreement or complaint as to the interpretation, or gave any indication that she did not understand the proceedings. After Mother requested the translated copy of the IEP at the meeting, Mother never renewed her request, nor did she complain to any person at the District that she had not received the translated copy of the IEP. Rather, on June 9, 2011, Mother wrote a letter rejecting the District’s offer, on the grounds that it was not appropriate. Her letter did not mention the failure of the District to provide her with a translated copy of the IEP, and did not renew her request for one. The letter did not betray any lack of understanding on Mother’s part as to the District’s offer of placement and services. Indeed, the evidence showed that Mother had made up her mind before the IEP meeting that she did not want placement at Melrose, and she was not concerned about the other portions of the IEP. District had ensured that Mother had a complete understanding of the IEP, and Mother would have rejected any District offer that included placement at Melrose. Under these circumstances, the failure of the District to provide Mother with a translated copy of the IEP was not a substantial procedural violation, and was harmless. District did not impede the Student’s right to a FAPE, significantly impede Mother’s opportunity to participate in the decision making process, or cause a deprivation of educational benefits . 27. Substantively, the IEP was reasonably calculated to provide Student a FAPE in the LRE. District met its burden of demonstrating that it could provide appropriate services to Student, that it had the resources to implement his IEP, and that his IEP was reasonably calculated to provide Student with some educational benefit in the LRE. 28. As an initial matter, there was no evidence that the District should have placed Student in a general education class rather than in an SDC. Rather, Student intended his evidence with respect to placement to support his contention that Oralingua NPS would be an appropriate placement. Therefore, there is no need to apply the factors described in Holland, supra, which on their face are to address whether a general education classroom is an appropriate placement. Rather, the question in this matter is whether District offered the least restrictive appropriate placement on the continuum of placement options. (Daniel R.R., v. State Board of Ed., supra, 874 F. 2d at p. 1050.) The SDC for deaf and hard of hearing children at the general education campus of Melrose afforded Student the opportunity to interact with his typical peers at various times throughout the day, including recess, lunch, science, computers, and social studies. There was no evidence that this placement provided an inappropriate amount of mainstreaming for Student. Dr. Roche, the Executive Director of Oralingua, expressed her preference that Student, and all children who attended Oralingua, be mainstreamed into core curriculum classes, such as language arts and mathematics, rather than less weighty courses. Her opinion, however, was not supported by anything other than her own personal opinion. In particular, her opinion was not based upon any specific consideration of Student’s unique needs, or any reference to the law relating to the concept of the LRE. Rather, Dr. Roche explained that, in her view, the continuum of placement options as set forth in California Law and the IDEA was incorrect. As she is not a teacher, and has never taught in any classroom, and is not credentialed in any aspect of education, her personal opinion on whether the Melrose SDC offered by District in the May 3, 2011, IEP was in the LRE is unpersuasive. The weight of the evidence supported that the subject SDC at Melrose constituted the LRE for Student. 29. The Melrose DHH program was also appropriate for Student. Dr. Scott-Weich, who was certified as a LSLS by the A.G. Bell Association, participated in the development of the program, supervised it, and developed the protocols on which it was based. She was fully knowledgeable regarding the standards and techniques of auditory/oral education, and the evidence demonstrated that the other personnel in the program were also knowledgeable of, and trained regarding, those standards and techniques. Ms. Adkins, who would have been Student’s classroom teacher, is a fully certified teacher of the deaf and hard-of-hearing in California, who is working on her second master’s degree in education. She used numerous auditory/oral education techniques in her classroom, including speaking slowly, using the hand cue, rephrasing, repeating, and moving closer to the child’s receiver. She did not teach her students sign language or lip reading, and she taught the standard California curriculum. She was qualified and sufficiently knowledgeable to provide services to Student pursuant to his IEP. With respect to the other service providers who would have been assigned to Student, the evidence was uncontradicted that they were properly qualified and sufficiently knowledgeable to provide services to auditory/oral communicators such as Student, pursuant to his IEP. Indeed, Ms. Fields, the itinerant DHH teacher, was also a LSLS, certified by the A.G. Bell Association. Further, except as discussed below with respect to audiology services, the evidence was uncontradicted that the type and level of related services offered in the May 3, 2011, IEP, were designed to meet Student’s unique needs and enable Student to benefit from special education. 30. Ms. Adkins’s classroom and its environs were also suitable for an auditory/oral program. The classroom, which was housed in a permanent structure, was designed with sensitivity for its acoustics. The classroom, and all classrooms in which Student would be participating, had FM systems for amplification. The playground slide was metal, as plastic materials can interfere with the use of cochlear implants. Mother’s belief that the slide at Melrose was plastic, and thus not suitable for use by children with cochlear implants, was credibly contradicted by the testimony of Joyce Kantor, the District’s due process specialist. Ms. Kantor asserted that the choice of materials for the slide was a matter of considerable discussion in the District, due to the effect of plastic materials on the use of cochlear implants. Therefore, District specifically installed a metal slide at Melrose. Ms. Kantor’s version of the composition of the slide is more credible than Mother’s, as one would expect the District to be aware of the unsuitability of plastic for children with cochlear implants, and of the need to have appropriate playground equipment for the children in its DHH program. 31. Student contends that Ms. Adkins’s SDC at Melrose did not provide Student a substantive FAPE. Student contends that Ms. Adkins’s class was not an auditory/oral program, because she and her paraeducator used signs and gestures. Student also contends that Ms. Adkins’s class was not appropriate for Student, as the children in the class were of lesser abilities than Student, and the classroom was too noisy. Student also contends that Student required a full-time audiologist on campus. These contentions are not meritorious. 32. As was stated in Legal Conclusions 5, 6, and 12 through 16, District must accommodate the preferred mode of communication of student and parents with respect to deaf and hard of hearing children. The IEP must offer a placement and services that are reasonably calculated to provide some educational benefit to Student, as measured by the information that was reasonably available to the IEP team at the time the IEP was developed. The program offered in the IEP need not be the program that parents prefer, and the District may select the methodology, curriculum, and personnel, as long as the program otherwise provide a FAPE. As with all children, the Student must be placed in a program with children of approximately the same age and ability level. The District has no obligation to repair or provide external parts of implants, including batteries. 34. Additionally, there was no evidence to support that the gestures used in the California Treasures curriculum were any form of sign language. They were simply gestures to help a child remember letter sounds. In this regard, Dr. Roche considered one such gesture, to imitate zipping up a jacket to assist in remembering the letter “z,” as sign language for “zipper.” However, the evidence demonstrated that the California Treasures curriculum did not suggest the gesture to denote the word “zipper,” but rather to remind the child of the sound of the letter “z.” It is likely that there are many such gestures everybody uses everyday, including “natural gestures,” which happen to be similar or identical to gestures that are actual signs in sign language. This does not mean that the individual who is using the gesture knows or is using sign language. 35. Finally, as was stated in Legal Conclusions 12 and 13, the District is entitled to choose its curriculum, regardless of whether it is parent’s preferred curriculum. In this case, Mother has expressed her preference that Student not be exposed to any signs or gestures at all. The evidence reflected that some gestures may be used in auditory/oral programs, and they are used at Oralingua. There was no clear evidence as to precisely what types of gestures, other than actual sign language, are prohibited in an auditory/oral classroom. The evidence demonstrated that signs and gestures were occasionally used in Ms. Adkins’s class, but the evidence was not persuasive that the use of such signs and gestures was such as to eliminate the class from the category of an auditory/oral classroom. The evidence was also not persuasive that the gestures Ms. Adkins’s employed while teaching the California Treasures curriculum, as she had been trained to do, were not properly part of the curriculum. To the extent such gestures were part of the curriculum, their use was within the District’s discretion. 36. Similarly, as was stated in Legal Conclusions 12 and 13, the District is entitled to choose its personnel. Dr. Roche was highly critical of Ms. Adkins’s abilities, but the evidence was uncontradicted that Ms. Adkins was formally trained and credentialed to teach deaf and hard of hearing students in an auditory/oral program. Dr. Roche’s criticism, based on her brief observation of Ms. Adkins’s classroom, that the class was not sufficiently academically-oriented and did not follow a standard California curriculum was contradicted by a plethora of credible evidence. Dr. Roche and Mother were also particularly critical that Ms. Adkins dismissed the students early for recess, a fact which the District disputed. Regardless, there is no legal authority that a single occasion of early dismissal for a supervised recess under the circumstances of this case constituted a denial of a FAPE. 38. Based on their classroom observation, Dr. Roche and Mother believed that Ms. Adkins’s classroom was too noisy for Student. They, as well as other personnel from Oralingua, testified that Student would have difficulty concentrating in a noisy environment, and Ms. Guzman, Student’s SLP, expressed her belief that a noisy environment could adversely affect Student’s language, hearing, and listening skills. Dr. Roche and Mother observed the classroom for only approximately 30 minutes, during the relatively unstructured “station” periods, at which time some of the children were working independently. By nature, this time of the school day was a noisier time. Their concerns about Student’s ability to concentrate in noisy environments is not without foundation, however, District demonstrated that the classroom was quieter during periods of direct instruction, which comprised a much larger part of the school day than did the station periods. Further, the opinions of Dr. Roche and Mother did not include any consideration of the effect of the FM system on Student’s ability to listen and focus, even in a noisy environment. Student’s ability to tolerate noisy environments for some period of time was displayed during his Oralingua class field trip to the California Science Center, which was an experience from which Student obtained educational benefit. Additionally, Student’s teacher at Oralingua admitted that her classroom was noisy sometimes. Under these circumstances, the evidence demonstrated that Student could obtain some educational benefit from attending Ms. Adkins’s classroom even if it was occasionally noisy, and that the May 3, 2011, IEP did not deprive Student of a FAPE on this ground. 39. District also met its burden of demonstrating that it offered Student a FAPE with respect to LAS, auditory verbal therapy, and audiology services. Both Ms. Fields, the DHH itinerant teacher who was to provide the auditory-verbal therapy, and Ms. Joanyan, the District’s SLP, were qualified and trained to provide these respective therapies to Student. The level of these services were sufficient for Student to make progress on his goals and provide him some educational benefit. 40. With respect to audiological services, Melrose was served by Maria Pezzulo, an educational audiologist who visited campus one time per week, and provided the services for each child’s IEP. She had the background and training to do so. Traci Nolin, the fulltime, on campus audiologist at Oralingua, and Ms. Guzman, the SLP at Oralingua, both testified to their opinions that it was very important for an auditory/oral program to have an audiologist on campus all the time, because problems could arise throughout the school day. With respect to Student, however, neither Ms. Nolin nor Ms. Guzman could specifically recall more than two or three times when the audiologist had to be called to assist with Student’s equipment. Ms. Nolin also believed there were a few occasions when moisture from sweat affected Student’s implant, but admitted that it was not a common problem for Student, and that there were very low-tech solutions for such problems. Ms. Nolin also believed that she provided benefits because Oralingua had much equipment on hand that she could use when a student’s equipment failed. She was also qualified to perform otoscopic and tympanogram examinations, which could reveal medical conditions that affect a student’s hearing. 41. None of this testimony demonstrated that Student required an audiologist on campus 100 percent of the time to access his education. He had minimal problems with his implants, and there was no evidence that those problems could not have been handled in a reasonably timely manner at Melrose, even without having a full-time audiologist on campus. The other benefits to an audiologist that Ms. Nolin mentioned were irrelevant. They demonstrate only that Oralingua has more resources than District to repair or replace equipment that was not working properly, and Ms. Nolin was qualified to spot medical conditions. As was stated in Legal Conclusion 6, when determining whether a district has offered a FAPE, the focus is on the District’s program, not another program. Secondly, as was stated in Legal Conclusion 16, the District has no obligation to repair, replace, or maintain Student’s cochlear implant equipment. Third, Student had no identified need for anyone at school to check his ears to spot medical issues. Under these circumstances, the District’s audiology services were appropriate and provided a FAPE to Student. The May 3, 2011, IEP offered Student a FAPE in the LRE.